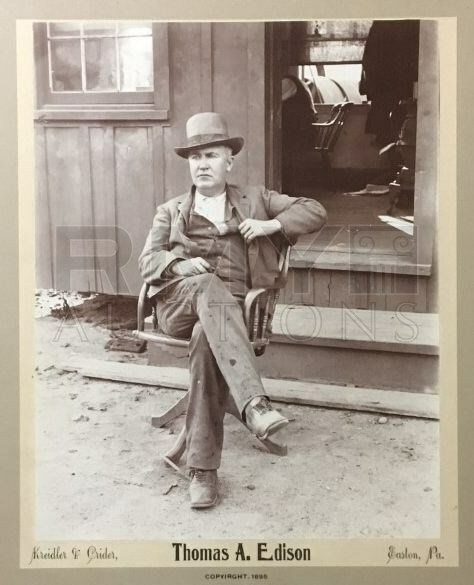 Large 1895 cabinet photograph of the greatest inventor and the most famous man in America at the time, Thomas Edison. 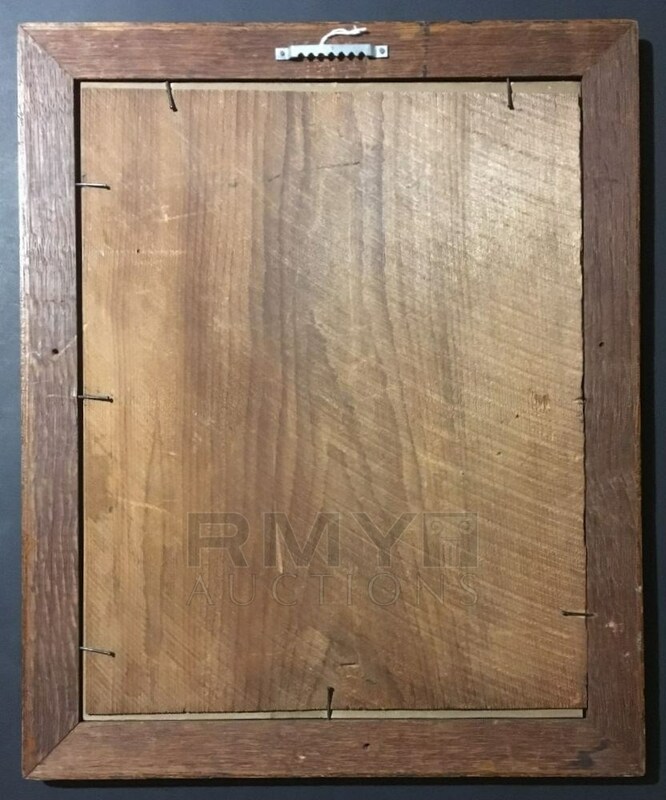 IN its original frame and from a photographer (Kreindler and Crider) from Easton, Pennsylvania which was close to the Edison laboritory. 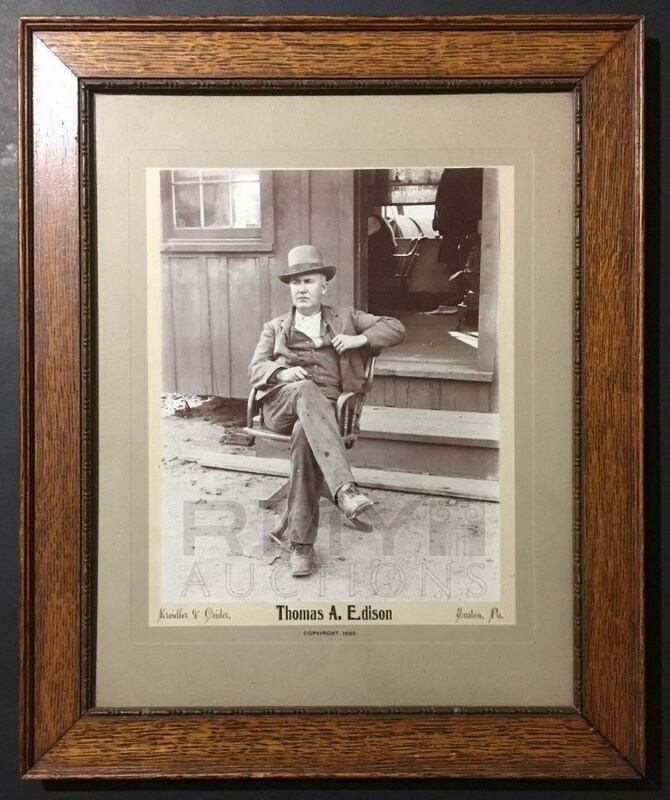 This is the largest, finest, and earliest image of Edison we have ever seen and it is a perfect 10/10! One of the finest non-sports cabinet photographs we have ever handled.